I’ve mentioned TD’s e-series mutual funds a few times in the past. They’re the darling of the passive investing community: no fees to buy or sell, low $100 minimum transactions, and MERs that are nearly as low as ETFs. Easy tracking of broadly diversified indexes, what more could you ask? But, that low-cost comes because they are self-directed products. They’re also not really money-makers for TD, so they have basically zero promotion, even within the ranks of TD staff. So yet again I see another case of someone running afoul of this aspect with TD Mutual funds. (The very most important point) TD Waterhouse discount brokerage is much more on the ball than TD Mutual Funds. Self-execution of transactions goes much more smoothly and obviously over Webbroker. Setting up an account is also much more straightforward: just set up a Waterhouse account (non-registered, TFSA, RRSP, or all 3). Sign up for electronic statements (“e-services”) to save on annual fees if you have < $50k. [As of 2012, this is no longer needed: there are no admin fees for the TFSA] You generally don’t need to bother with that silly little investment profile sheet either: it’s a self-directed account for grown-ups. If you do go with TD Mutual Funds, you can’t just buy e-series funds in your existing Mutual Funds account: you have to “convert” your account by sending in a form. For both routes, but especially the TD Mutual Funds route, the reps generally have no idea that e-series funds exist. The branch salesfolks in particular will try to sell you other mutual funds with higher MERs. Bizarrely, they may tell you that an all-equity index isn’t aggressive enough, and suggest a balanced fund instead (?? ), or all other manner of strangeness. This is a reminder that you’re on your own for transactions. Assisted transactions may land you in the i-series (MER: 0.86%) and not the e-series (MER: 0.32%). A corollary to that is that the branch staff cannot help you with e-series transactions, even transactions that require branch staff assistance: making RRSP withdrawals for the home buyer’s plan (HBP) or lifelong learning plan (LLP) are the prime examples, and the same applies to pulling money out of an RESP. Before going into the branch to make a withdrawal under the HBP/LLP/RESP, you have to “switch” your funds to something like the TD money market fund (TDB164) which the branch staff can then manipulate for you. If you use a TD Mutual Funds account, you will have to have on file an “investor profile”: a questionnaire about your risk tolerance, etc. If you answer anything other than the options that allow for the very riskiest investing, you risk having your transactions denied until you go in-person to fill out a new one that allows such a transaction (or phone in to make an exception). Once you get past the little eccentricities, TD e-series mutual funds really are the hands-down winners of passive investing, particularly for small portfolios and where you have many transactions through the year (e.g., regular monthly savings). Particularly on the TD Mutual Funds side, there are quite often road-blocks and mix-ups along the way, but every case I’ve heard has ended with TD (eventually) making it right in the end, so have faith. And remember the magic word: Waterhouse. Though I am a fan, an e-series user, and a shareholder of TD, I don’t get any kickbacks for promoting them. Interested in do-it-yourself investing with index funds? 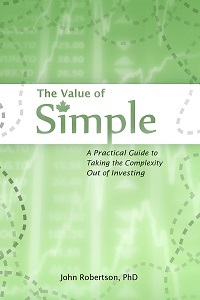 Then you may be interested in my book, The Value of Simple, which is an introductory guide to the world of investing for Canadians, with a focus on index investing including using TD’s e-series funds as the way to go about it. 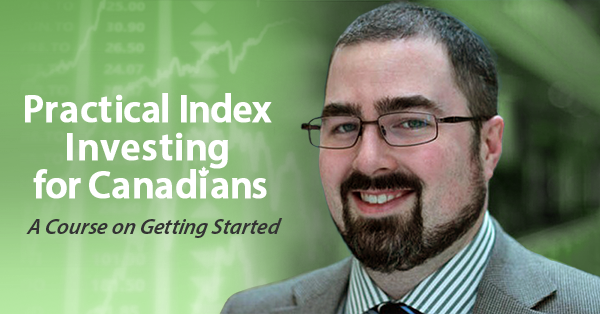 In 2017 I also launched an online course that goes into much more detail on how to become a do-it-yourself investor, with TD e-series as one of the methods I walk through. Blessed by the Potato is proudly powered by WordPress ♦ Entries (RSS) and Comments (RSS). ♦ 22 queries. 0.346 seconds.